FVH off to Japan this weekend. We’ve been selling to Press Alternative for a few years and this year we decided to work with another exporter who would facilitate some of the logistics as it is a small amount that we ship out. Notice the picture above has a date on it. 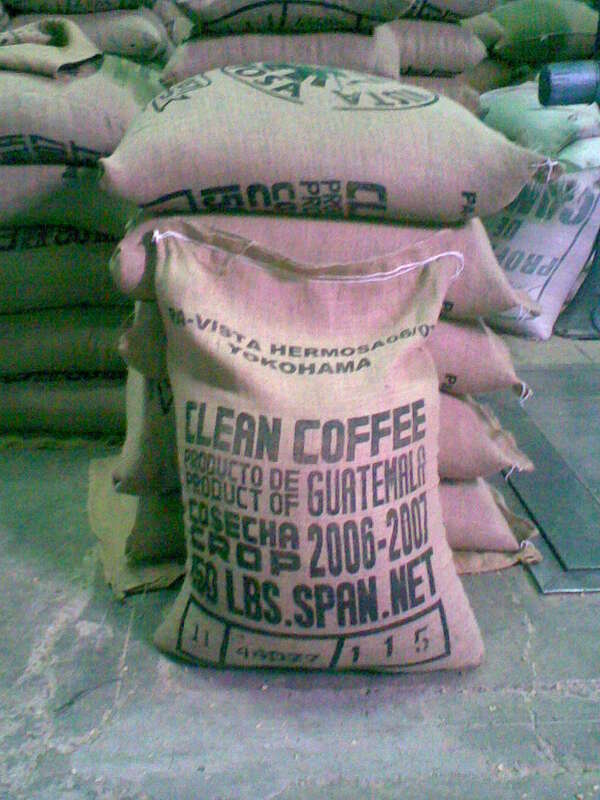 Jose Padilla was diligent in snapping a photo when the marked bags came into the warehouse. The above pic is just a bag full of empty bags for export. Below you see what the front marks look like. 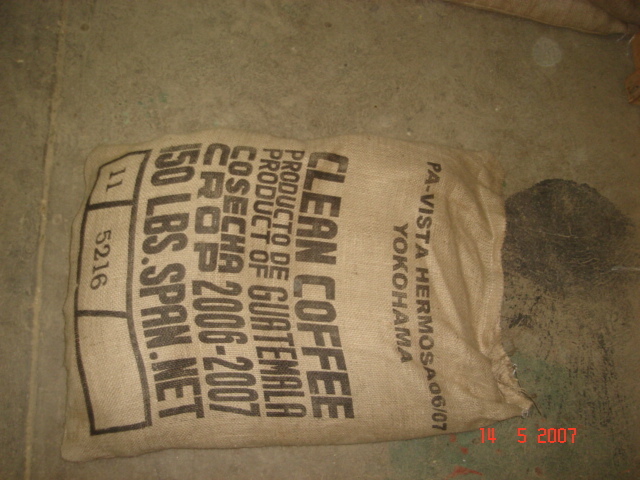 Second picture shows the same 11 mark for Guatemala and the center number has been edited or re-stenciled with the new license number (also a mill mark in this case) and finally the lot number on the right which means they have exported 114 lots this year preceding this particular lot. 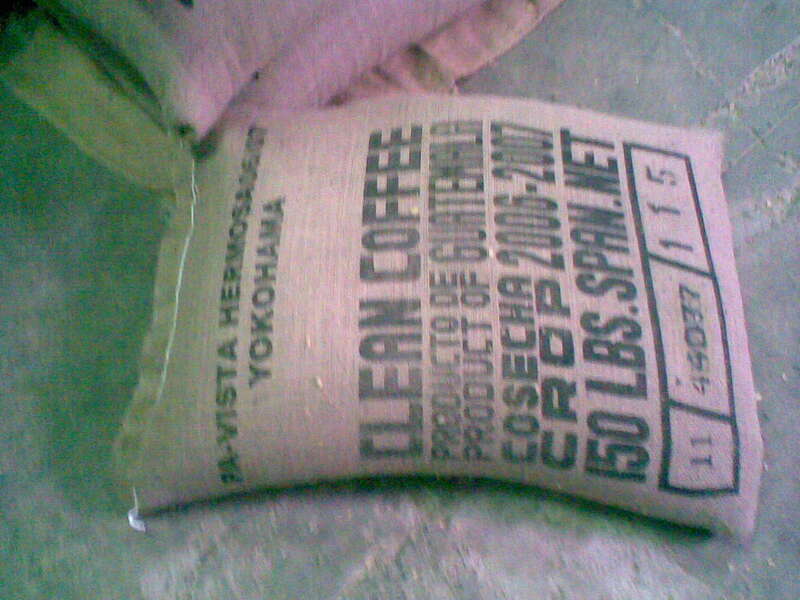 Lots are most often Containers (37,500lbs), however they can be as small as you wish, even a 1 bag lot if you wanted. 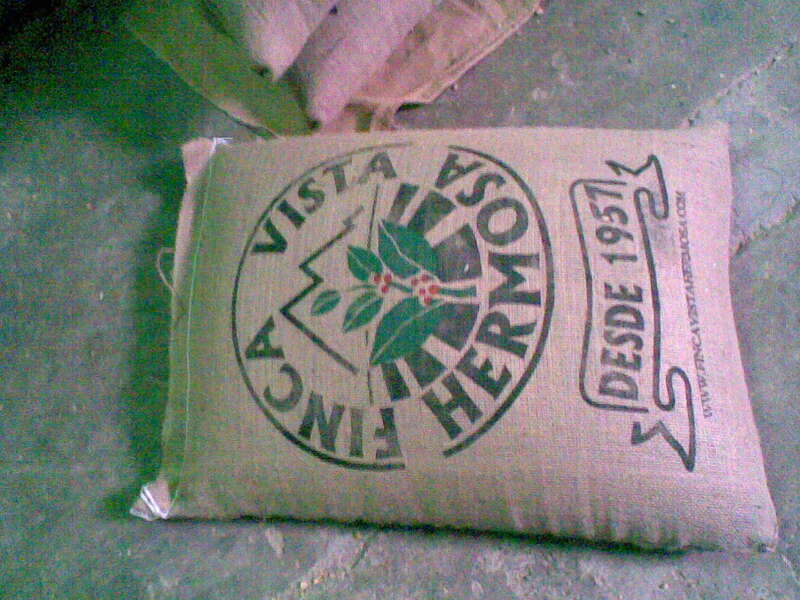 The third pic shows them all bagged, restencilled and ready to go out this weekend across the pacific pond.